As much as we love skinny pants, this season we’re crushing on billowy, wide leg styles. 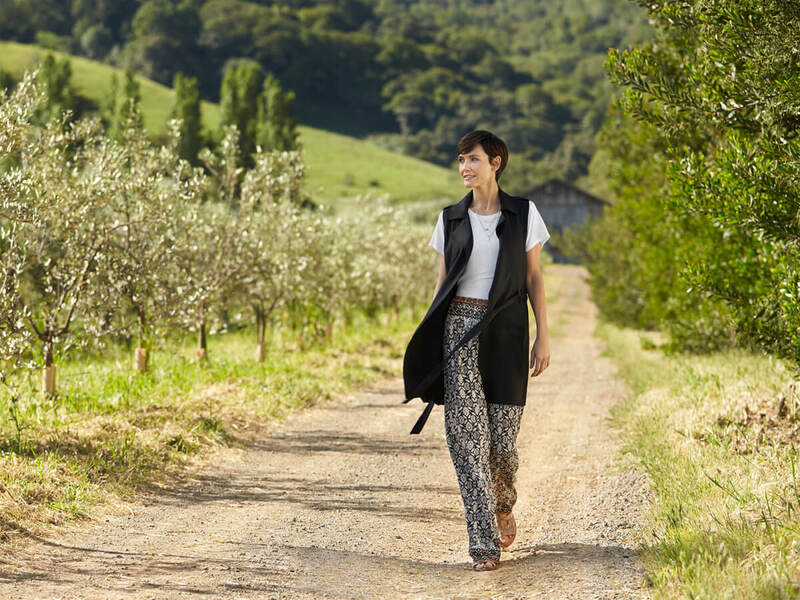 These breezy pants are comfortable and chic for day or night and can be paired with a variety of options. For a casual day, wear them with a fitted V-neck tee tucked into the pants to highlight your waist, or with a cotton eyelet top for ultimate breathability for hot and sticky summer days. Let the pants skim the floor and pair them with stacked heels or wedges for added height. If there’s still a chill in the air, layer with a white jean jacket. Your wide leg floral pants are date-night appropriate when paired with a flirty lace crop top. The shorter length and fitted silhouette will balance the voluminous pants and give you the look of mile-long legs. If you’d rather downplay your midsection, opt for a crop top that hits at the waistline of the pants for a similarly stylish look, minus the sliver of skin.